It's a beautiful Steller picture. I'm so tired of the cold. It's too hard to go to work then too hard to go home. I just want to curl up in a cave. Freezing cold ? 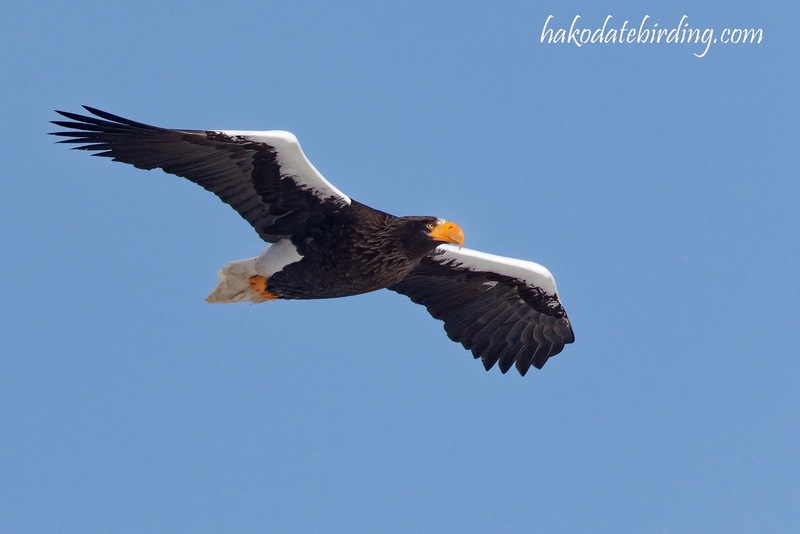 Still, Steller's Sea Eagles in a clear blue sky must be some compensation !